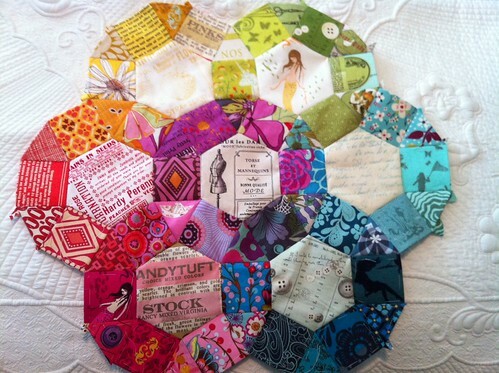 Kati's Heather Ross quilt is going to be a stunner! 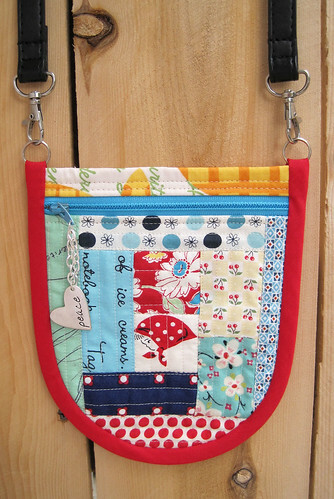 Cherie's train case is so stinkin' adorable! Krista better watch out because I would totally break into her house and steal this one! 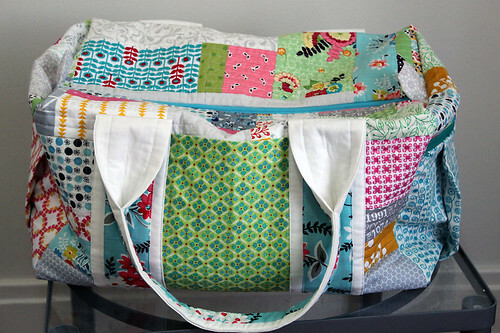 Patchwork bag cuteness from El! I hope you guys are still working on those Precious projects!!!! I'll be posting the link-up soon and there *may* be a Heather Ross charm pack available. Just sayin'! Awesome projects! Let me know when you will break into her house... if you promise you will share the block with me I will be your partner in crime! I love watching the projects progress in this QAL! They're all so fabulous! Fab projects all round. I've managed to get my precious onto my FAL list for this quarter so maybe that'll push me to getting it done! i agree with sara's bag. that is amazing! i love them all!